It has become ritualistic in the last one decade to say that India have their best chance of winning a series as they get ready to tour South Africa or Australia. Every time the pundits and player-experts tick all the boxes to justify their prediction. The teams, with all their top guns, just would not click and kept losing matches they could have won or gave up without much of a fight. 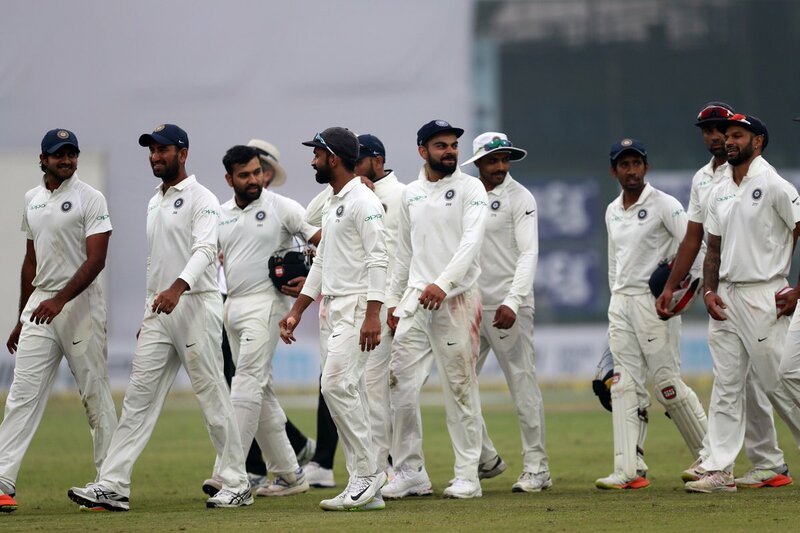 It is understandable losing the series after being beaten in the first Test, but not after drawing the opening Test and winning the second as happened in England under Mahendra Singh Dhoni three years ago. Just a reminder, 12 of the South Africa bound squad were there in England, with Murali Vijay, Ajinkya Rahane, Bhuvaneshwar Kumar and Ishant Sharma producing outstanding individual performances. Both Virat Kohli and his like-minded national coach Ravi Shastri must be getting cheesed off to be told that India have never won a series in South Arica and Australia. Ravi Shastri himself was part of the sides that helplessly watched the Kangaroos and Proteas maul them despite their own exceptional showing. Kohli came close to winning a Test if not the series soon after he took over captaincy from his best pal Mahendra Singh Dhoni midway through the series Down Under when they were there last three years ago. The first thing that comes to mind is whether Kohli's brave men are superior to the recent sides that had Sachin Tendulkar, Rahul Dravid, V.V.S. Laxman, Saurav Ganguly, Virendra Sehwag, Dhoni, Anil Kumble and Harbhajan Singh? Man-to-man it would be difficult to match these with anyone. They also had a terrific record playing at home barring a hiccup against England. They tote up to eight world-class performers. These players have changed the long-standing perception that the Indians are poor travellers by proving capable of winning Tests overseas. It is not that in the 80s or 90s the teams have not won Tests away from home, they were few and far between, making them look fluke. All the Indian team needs to do now is to string a couple of victories. For years, the Indians were pathetic standing up to the seam and swing overseas just as the visitng giants were all at sea against the spin wizards of the subcontinent. One cyclone-driven heavy atmospheric morning in Kolkata the other day made everyone go hoo-ha over the way the Indian batsmen groped at the seam and swing of the Sri Lankan fast bowlers. How many days does the team get to play in these conditions, or for that matter in Kolkata, as Shastri, in an interview, wondered? He is right, the same holds good for the team that plays in trying conditions in England, Australia, South Africa, or sometimes even in New Zealand. Barring Parthiv Patel, Hardik Pandya, Lokesh Rahul and Jasprit Bumrah, the other 13 in the squad were there on the last tour to South Africa. Rohit Sharma, Wriddhiman Saha, Murali Vijay, Parthiv and Virat Kohli were there six years ago, too, when India shared the Test series 1-1. That makes the team highly experienced and the six fast bowlers, including all-rounder Hardik Pandya, are that much more incisive and they should know how to use the new ball and reverse the old one. These days every country is preparing at least one dry abrasive pitch for the ball to get scuffed for reverse swing. And the ingenious way of scuffing the ball is by throwing it on the adjacent rough bald pitches before reaching the wicketkeeper! No fast bowler or a thinking captain rarely misses a trick these days. The South Africans must be seething after the way they had been outplayed on their last tour of India, leading to Hashim Amla quitting captaincy midway through the next series against England. Amla and skipper Faf du Plessis are cautious in their prediction on India's tour. Both think it could be tough for them. Coming from the two experienced men who have a fair knowledge about Indian players is something. Faf summed it up thus: "India have been winning a lot of matches on foreign soil in the recent past. They have started to make that curve of being one of the best Test teams in the world. There was a time when South Africa would be unbeatable at home but I think India would be a tough team to beat even for us." A good tough tour is what everyone is looking forward to and if India can come out of it triumphant, they will have Australia as their last frontier later in the year after another gruelling tour of England in the summer.